Sunlight and shadows at Fajada Butte served to mark the seasons a thousand years ago. 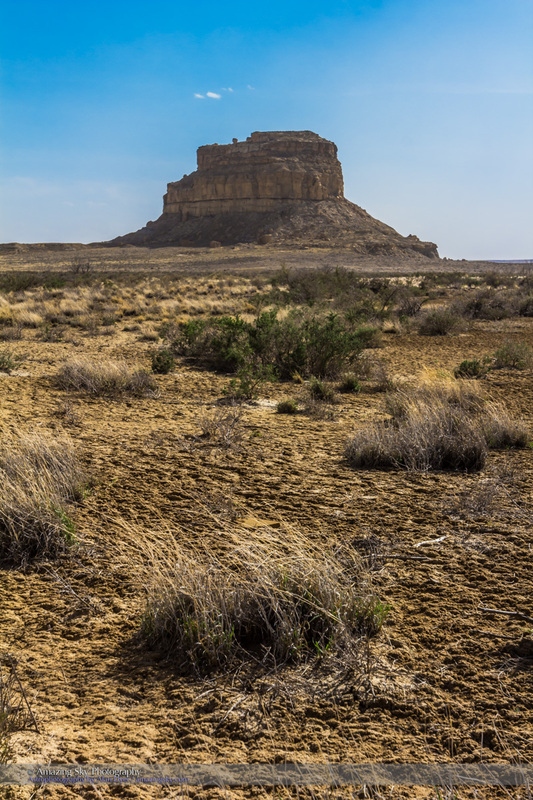 In the distance is Fajada Butte at Chaco Canyon, New Mexico. It is one of the most famous sites in archaeoastronomy. 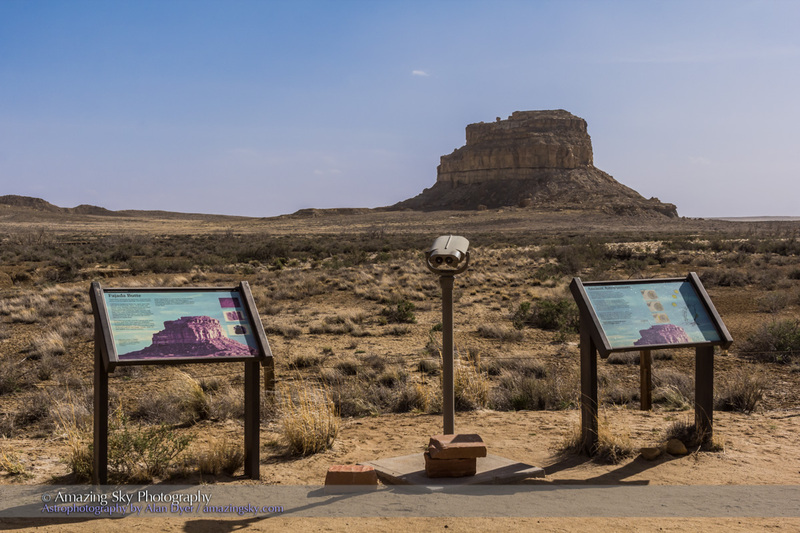 A thousand years ago, people of the Chaco Culture used it to observe the Sun. At a site now off limits to preserve its integrity, a set of three rocks cast shadows and daggers of sunlight onto a carved spiral petroglyph. People used the position of the projected beams of light as a calendar to mark time through the year. 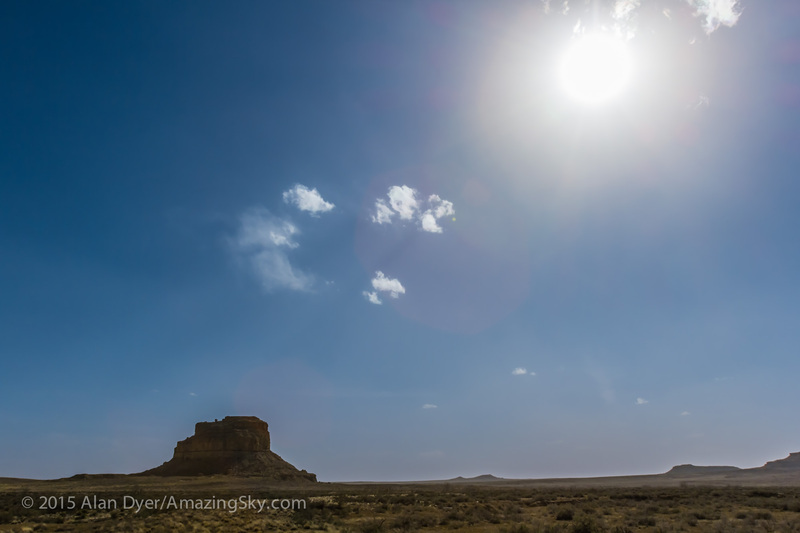 In truth, simply watching the changing position of the rising and setting Sun along the horizon, which was also done here at Chaco Canyon, would have worked just as well. I visited the site today, as part of a trek north through New Mexico, Arizona and into Utah. 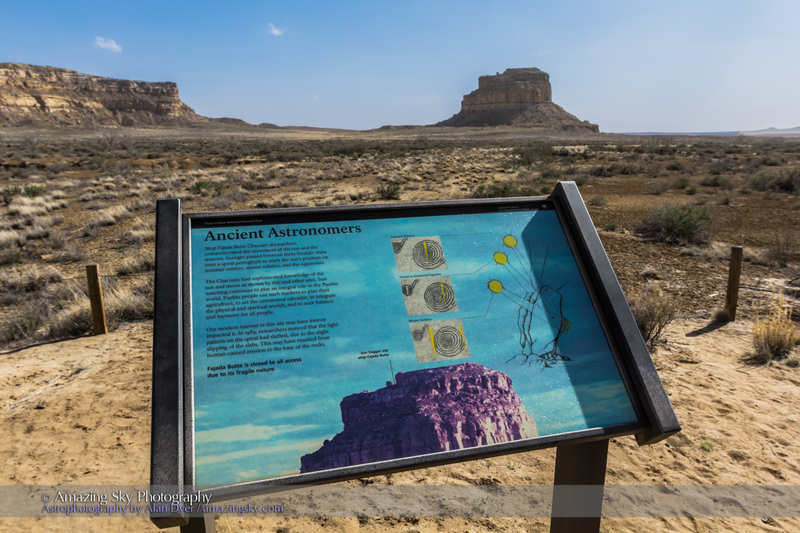 Chaco Canyon is one of the preeminent sites for archaeoastronomy, demonstrating how well people a thousand years ago (the site was occupied from the mid 800s to the mid 1100s) observed the sky. For example, a half-day hike takes you to a famous pictograph on a rock face showing a bright star near the crescent Moon, a drawing some have interpreted as being an observation of the supernova of 1054 AD. In its height, thousands of people lived in the pueblos at Chaco Canyon and surrounding area. This is the Great Kiva at the Chetro Ketl pueblo. Wood columns used to hold a wood roof over this structure to make a space for ceremony and ritual. I did a little solar observing myself while there. 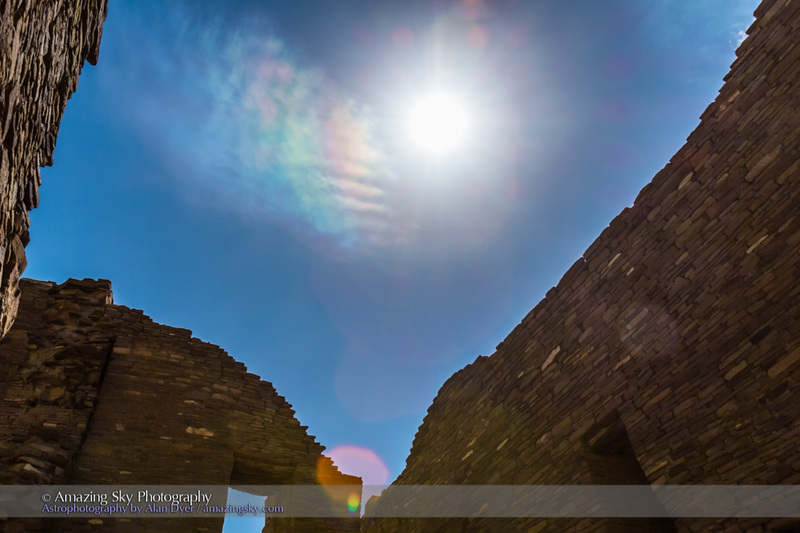 While walking through the maze of rooms at Pueblo Bonito I looked up to see iridescent clouds near the Sun, created by diffraction of sunlight from fine ice crystals. 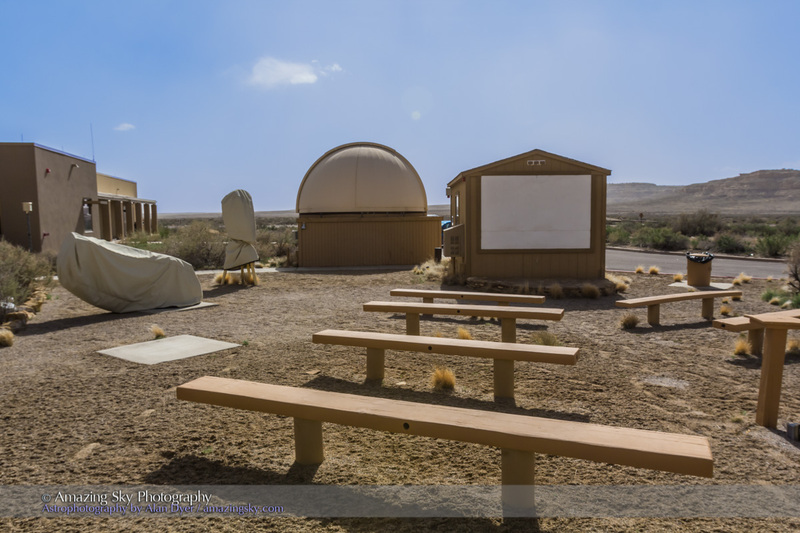 In keeping with the site’s astronomical heritage, the Visitor Centre at the Chaco Culture Historical Park has a well-equipped observatory with several top-class telescopes (a 25-inch Obsession Dobsonian among them) and an outdoor theatre for regular stargazing sessions each weekend. 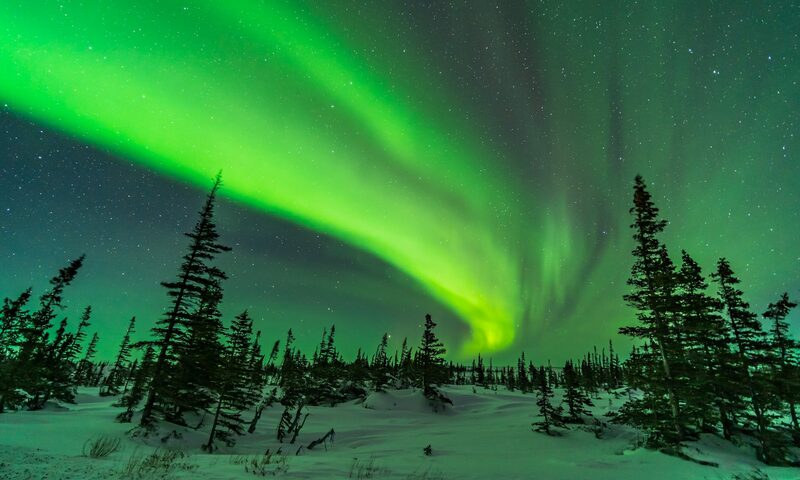 This is a world-class Dark Sky Preserve and a World Heritage Site. 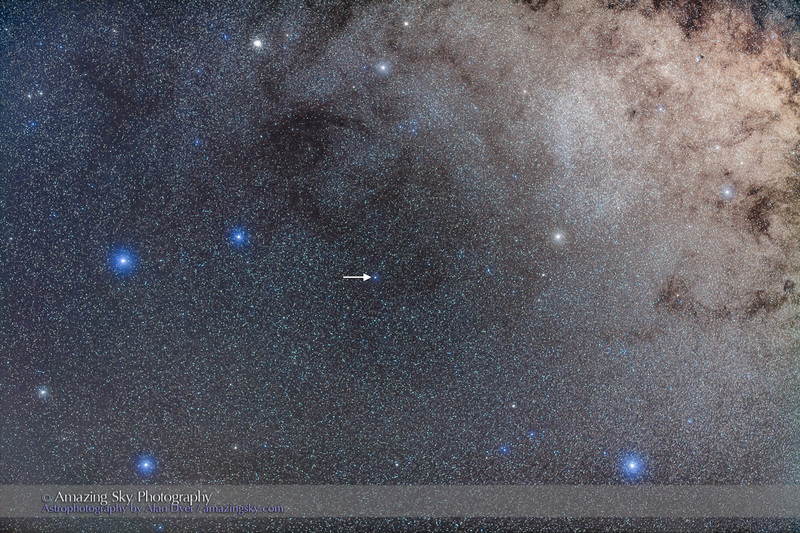 The nova star in Sagittarius has re-brightened. I captured it in a telephoto closeup. Here is Nova Sagittarii – likely an exploding white dwarf star – as it appeared before dawn on the morning of March 28. This is the brightest nova visible from the northern hemisphere for many years, though even now it is barely naked eye at fifth magnitude. After dimming for a few days the nova has re-brightened somewhat. What titanic forces are going on at this white dwarf star causing it to fade then brighten remain to be determined. It will certainly be worth keeping an eye on. With luck it might really get bright! This telephoto image frames the “Teapot” configuration of stars that forms the main part of Sagittarius the Archer. The nova has appeared from out of nowhere in the middle of the Teapot just below the lid! The image is a stack of 4 x 90-second exposures, plus an exposure taken through a Kenko Softon A filter to add the star glows, to accentuate the brighter stars. I shot this from the backyard in New Mexico. 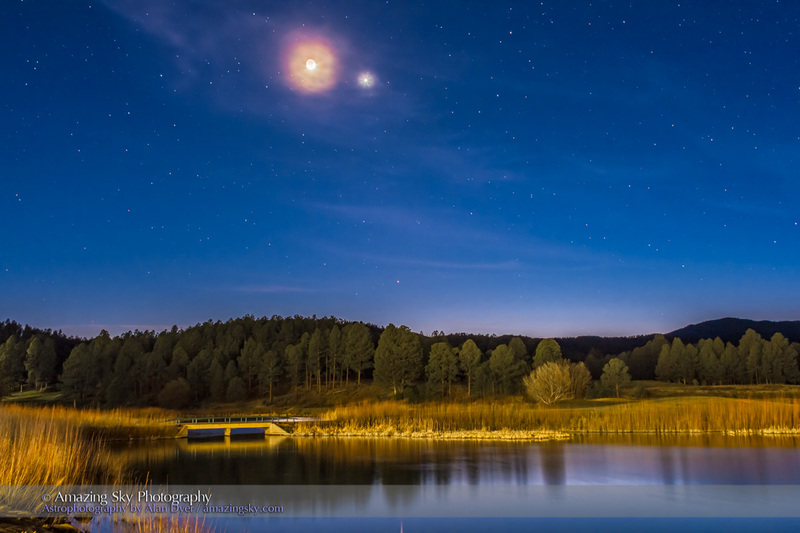 The Moon meets Venus over a New Mexico pond in the heart of the Apache homelands. This was the scene on Sunday evening, March 22, 2015, as the waxing crescent Moon appeared near Venus in one of the best conjunctions of the spring. 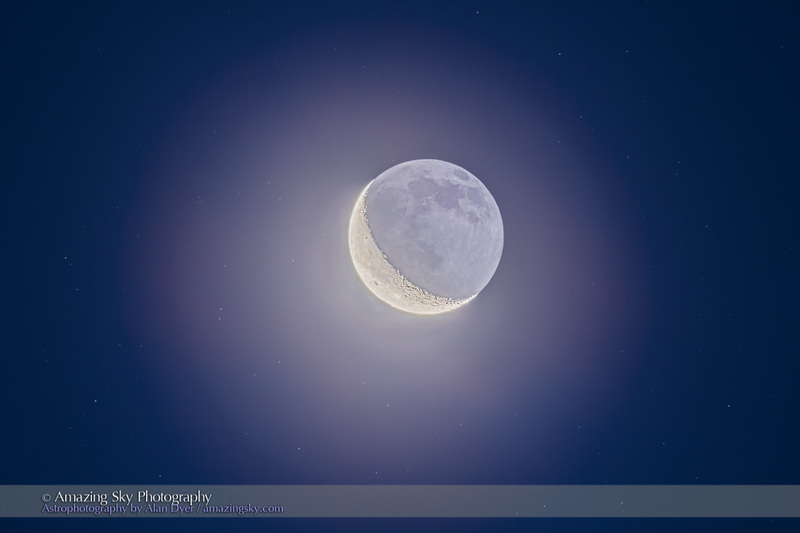 Earthshine lights the dark side of the Moon, while Mars also appears, below the Moon-Venus pair. For these images I set up on the picturesque grounds of a resort called the Inn of the Mountain Gods, near Ruidoso, New Mexico, a ski resort in winter and a cool mountain retreat in summer. The resort, run by and on land owned by the Mescalero Apache, honours the spirits of the four sacred mountains on Apache land: Sierra Blanca, Guadalupe Mountains, Three Sisters Mountain and Oscura Mountain Peak. I shot this image a little later in the evening when the sky was darker, stars were beginning to appear, and thin clouds added haloes around the waxing Moon and Venus. I think the clouds added a photogenic touch. The waning crescent Moon shines with sunlight and Earthlight in the morning sky. This was the Moon before dawn this morning, March 16, 2015. It’s the waning crescent Moon four days before the New Moon of March 20, when the Moon will eclipse the Sun. This view shows the sunlit crescent and the dark side of the Moon also lit by sunlight, but sunlight reflecting off the Earth first. The night side of the Moon is lit by blue Earthshine. To record details in both the bright and dark sides of the Moon I shot six exposures, from 1/160th second to 6 seconds, combining them in a high-dynamic range stack with Photoshop and Adobe Camera Raw for the tone-mapping. 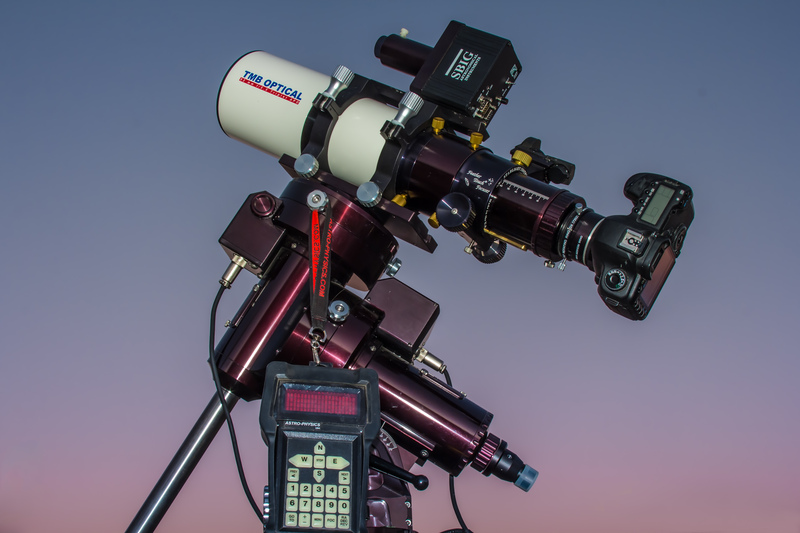 I shot it through my 92mm refractor, shown here in a beauty shot from the evening before. The upcoming solar eclipse by the Moon is visible as a partial eclipse from much of northern Europe (but not from North America, except from a teenie bit of Newfoundland), and as a total eclipse from a path running up the North Atlantic. The only landfall for the total eclipse path are the Faroe Islands and the Arctic island of Svalbard. For more details about the eclipse see The Great American Eclipse. I’ll be missing this eclipse, the first total solar eclipse I’ve chosen to sit out since 1995, 20 years ago. My next total solar eclipse will be August 21, 2017. At least, that’s the plan! Clear skies to all my eclipse chasing friends, on land, on the sea, and in the air on Friday morning. A truly dark sky isn’t dark. It is filled with glows both subtle and spectacular. Last night, March 10, I drove up into the heart of the Gila Wilderness in southern New Mexico, to a viewpoint at 7,900 feet in altitude. I was in search of the darkest skies in the area. I found them! There was not a light in sight. 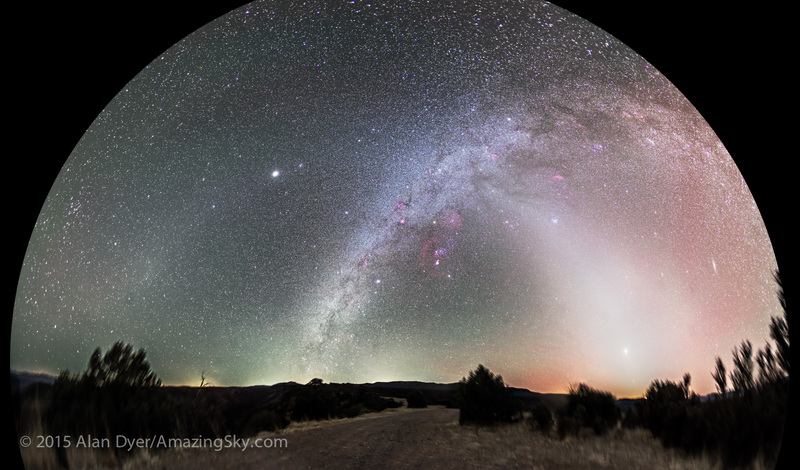 The Zodiacal Light, Zodiacal Band, and the Gegenschein are all part of the same phenomenon, glows along the ecliptic path – the plane of the solar system – caused by sunlight reflecting off cometary and meteoric dust in the inner solar system. The Gegenschein, or “counterglow,” can be seen with the naked eye as a large and diffuse brightening of the sky at the spot exactly opposite the Sun. It is caused by sunlight reflecting directly back from comet dust, the scattering effect greatest at the point opposite the Sun. 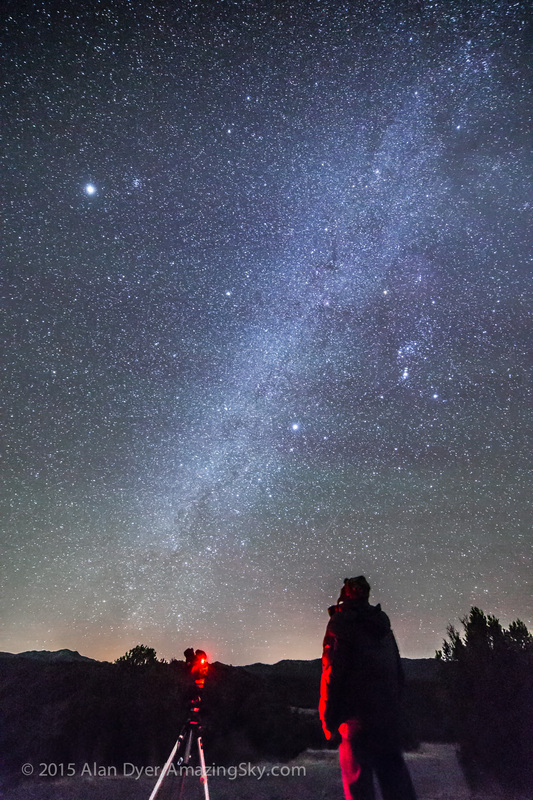 The Zodiacal Light requires reasonably dark skies to see, but the fainter Zodiacal Band and Gegenschein require very dark skies. Now is prime season for all of them, with the Moon out of the way, and the Zodiacal Light angled up high in the western as twilight ends. In March, the Gegenschein is now located in a relatively blank area of sky in southern Leo. The Milky Way is much more obvious. Along the northern winter Milky Way here you can see dark lanes of interstellar dust, particularly in Taurus above and to the right of Orion. Red nebulas of glowing gas also lie along the Milky Way, such as Barnard’s Loop around Orion. – Orion is at centre, in the south, with Canis Major and the bright star Sirius below and to the left of Orion. Canopus is just setting on the southern horizon at centre. It barely clears the horizon from 32° North latitude. – To the right of Orion is Taurus and the Pleiades star cluster at the top of the Zodiacal Light pyramid. 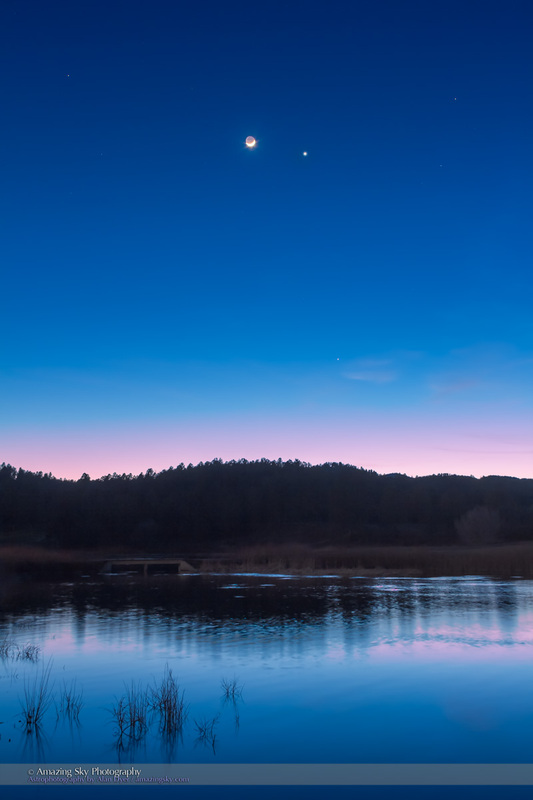 – Venus is the bright object in the Zodiacal Light at right, in the west, while fainter Mars is below Venus. – At far right, in the northwest, is the Andromeda Galaxy, M31. – Jupiter is the bright object at upper left, in the east, in the Zodiacal Band, and near the Beehive star cluster. – The Zodiacal Light, Band and Gegenschein all lie along the ecliptic, as do Mars, Venus and Jupiter. Glows on the horizon are from distant SIlver City, Las Cruces and El Paso. The brighter sky at right is from the last vestiges of evening twilight. Some green and red airglow bands also permeate the sky. I shot this March 10, 2015 from the summit of Highway 15, The Trail of the Mountain Spirits, that twists and winds through the Gila Wilderness. It was a stunning night, clear, calm, and silent. Just me under the ghostly glows of a truly dark sky. NOTE: I first published this March 11 but had to republish this blog March 15 after WordPress deleted the original post in a software bug. Thanks WordPress!